So here's a bit about us - in 2016, Tralee Bay Holidays bought a 7-acre croft, a 2-minute walk from Tralee and we created our sister company, Highfield Holidays. 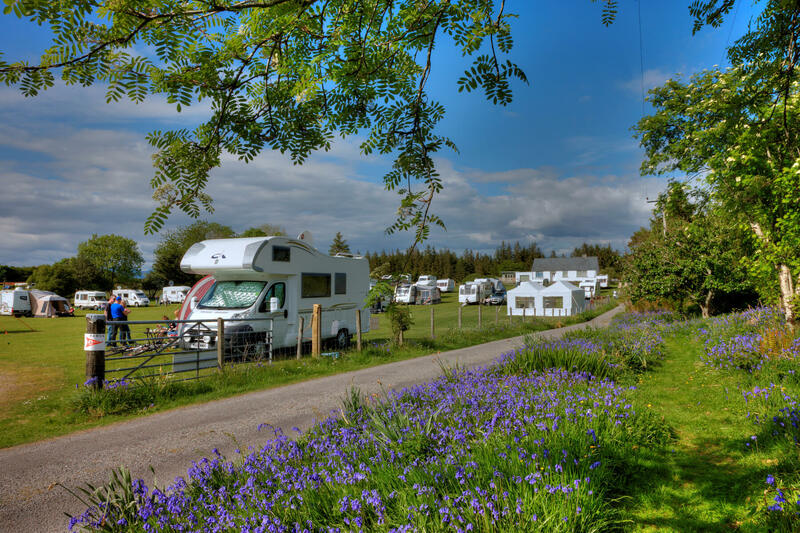 The croft was sensitively developed into a caravan park with space for 50 pitches. In 2017, we gained planning permission to add glamping pods, a great way to enjoy all the fun of camping but without having to rough it. 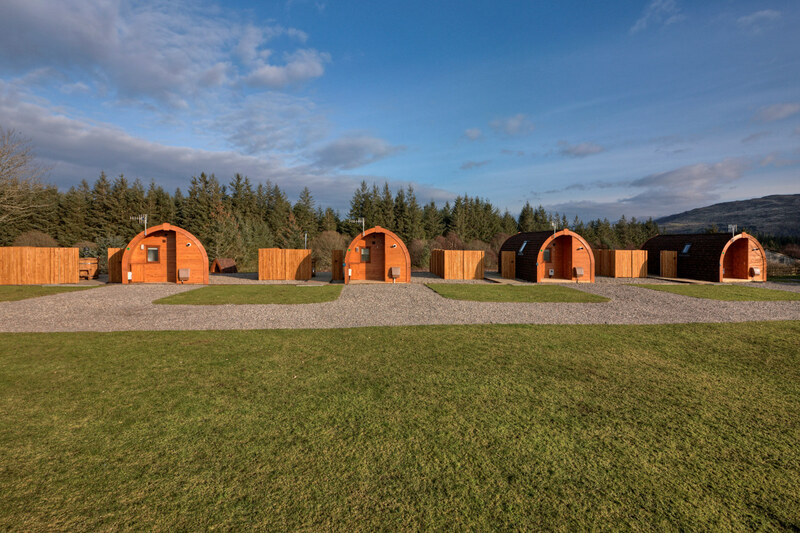 Our 9 pods offer a unique glamping experience as they are super luxurious and all come with a hot tub and firepit barbecue. Highfield is still very much in its infancy but our mission is to maintain the low key vibe of pure relaxation and an opportunity to reconnect with nature. Our plans for the future are to add a community teepee with sofas, books and games, where you can hang out in the evening or chill on a rainy day. We have a safari tent on its way, which is now available for bookings for the 2019 season. We are also looking to work with electric car companies so that you can leave your tourer or motorhome at the park if you want to pop into Oban or do some local sight-seeing. Follow us Facebook, Instagram and Twitter to see how the Highfield develops and to take advantage of our special offers! From Glasgow, head for the Erskine bridge on the M8 and follow signs for Dumbarton or Crianlarich. As you exit Dumbarton follow the signs for Crianlarich. After 40 miles, in the village of Crianlarich turn left and head for Tyndrum - you will see signs for Oban at this point and have 30 miles to go. After 20 miles, as you continue to follow the signs for Oban, you will approach the village of Connel. A good landmark will be Connel bridge, which you need to go over. To do this, first drive under it and then turn left following the signs for Fort William. Three miles after the bridge, you will arrive in Benderloch. Drive through the village and turn left just before the school and head down a very straight half mile long road with passing places. We are half way down on the right. Happy travelling! Our Post Code PA37 1QS will direct you to the church in the village, not to the park. From the north, turn right as you enter the village of Benderloch just after the school. From the south, turn left as you exit the village before the school. Both are signed Tralee Bay Holidays. Half way down the long lane there is a sign with a big photo of a pod. Turn right here into the entrance for Highfield.